Get ready to set sail with today’s helping of nautical inspiration. I’ll admit it. I am obsessed with any and all things nautical. I know many of you are too! There is something so fresh, clean and downright summery about the nautical look. The crisp red, white and blue color scheme paired with stripes is always a classic. And I’m especially fond of decorating with woven nautical rope. Whether wrapped around a hurricane vase or lantern, a little touch of rope adds charm and texture. So needless to say, I did a rope-loving dance when I saw today’s cake! 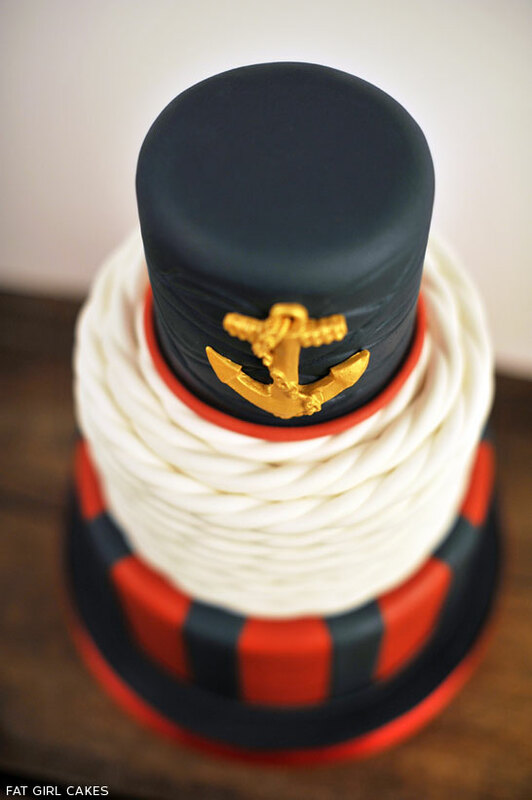 Created by Kristin Kirkpatrick , owner of Fat Girl Cakes in Virginia, this design captures all of the great nautical trends. Bold wide stripes come together with an anchor that is truly golden. And ropes that you must see to believe. 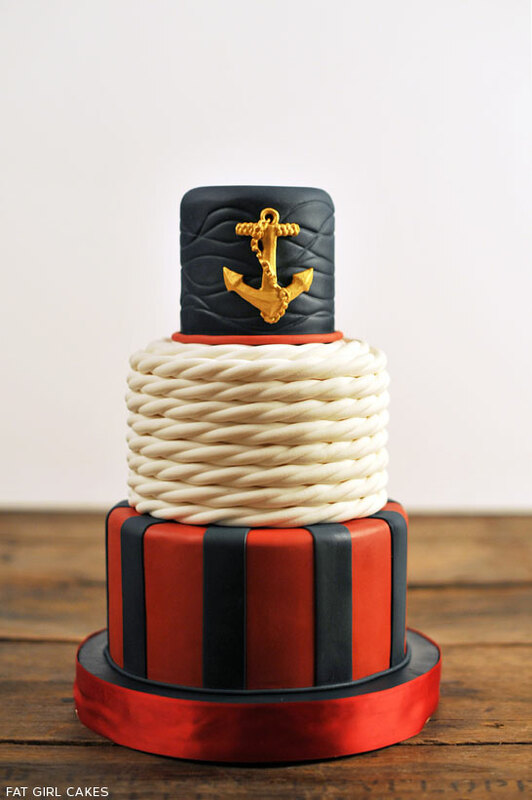 Let’s take a look at this Classic Nautical Cake! I’m so glad Kristen had the opportunity to bring her rope tier to life. 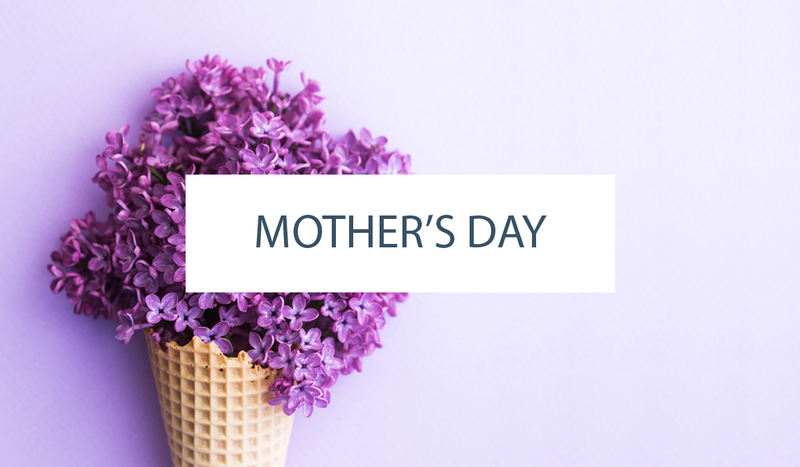 Because it is incredible! And the gold gilding on the anchor is such a great addition, providing contrast and a nice metallic pop. 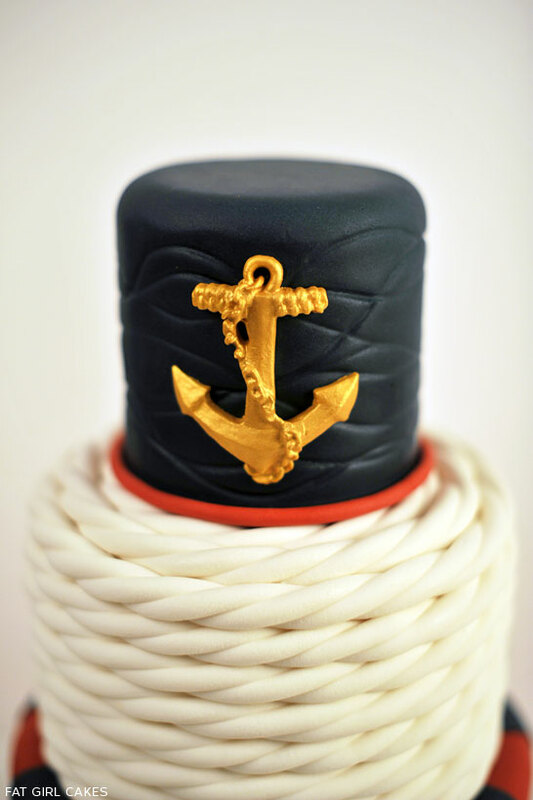 A very special thank you to Kristin Kirkpatrick of Fat Girl Cakes for sharing her Classic Nautical Cake with us today! Your seaworthy design is just stunning! 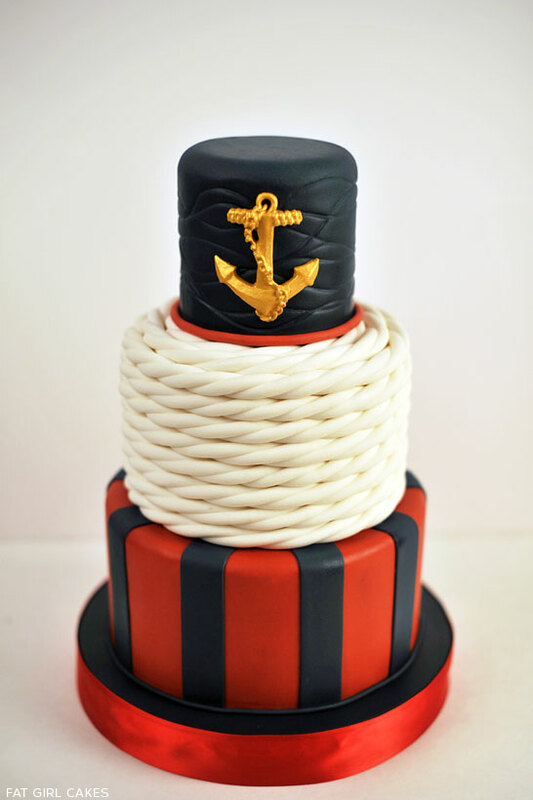 How would you adapt this cake for a 1 tier nautical theme cake?